Mesh Banners are perfect in situations where you need a banner or sign to handle windy conditions, such as large-scale outdoor advertising. The perforated material of mesh banner allows wind to flow through it, thereby creating less of a sail affect and maintaining visibility of your important message whatever the weather. 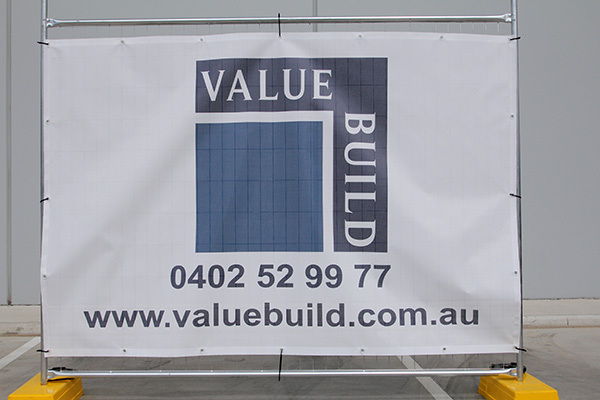 Mesh Banners are a favourite for clients in the construction industry, particularly in the form of site fence signs that are printed as 2.4m wide panels as well as 50m long banners. 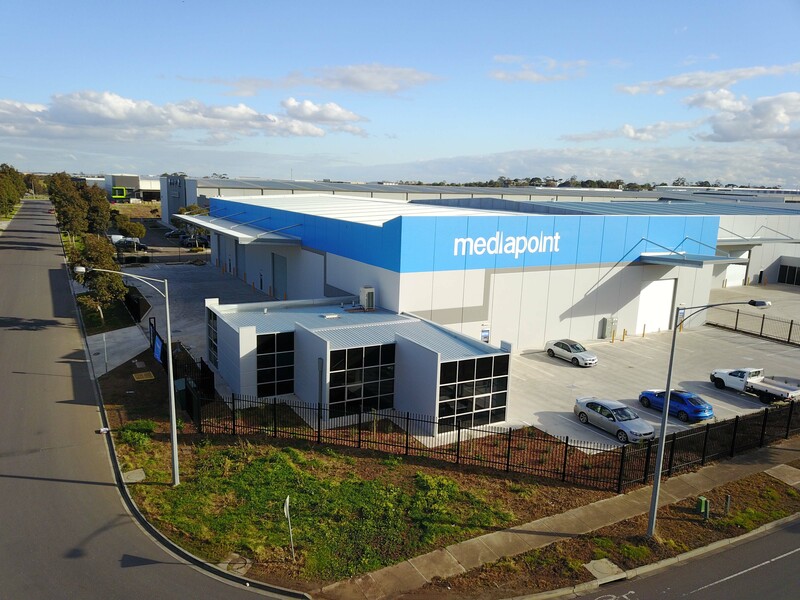 At Mediapoint, we offer mesh of 1.6m and 1.8m heights, as well as in various lengths. We also offer a premium 12×12 mesh as well as a larger knit 6×6 mesh. Please see the link below to get pricing on mesh banners for your customers. Read below for more information and answers to some of the most frequent questions we receive. What Is the Difference Between 12x12 & 6x6 Mesh? 12x12 Mesh is a more close-knit mesh banner stock. The smaller perforations mean that the print image visibility is very high, however the trade-off is that less air flows through the banner. This is ‘premium’ mesh that may not be the best option for extremely windy environments . In contrast, 6x6 Mesh is considered an open weave mesh. The larger perforations allow more air to move through and is ideal in higher wind load installs. However, due to the nature of the open weaves, there is less of a surface to print on so there is less actual print, making the image less sharp and vivid. How Are Mesh Banners Finished Around the Perimeter? 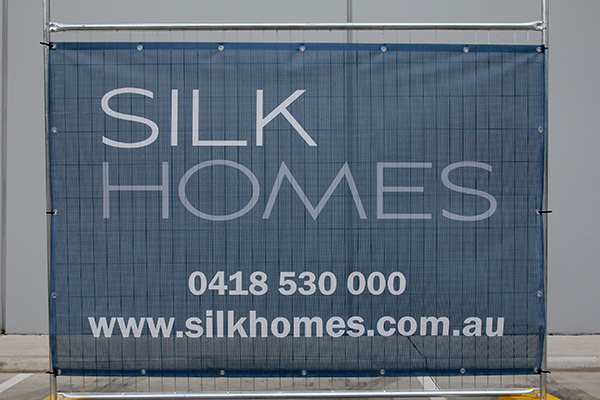 Our mesh banners are finished with professional welding around the perimeter with eyelets at every 500mm. Why Are Set Sized Mesh More Cost Effective Than Custom Sized Banners? To keep costs low we bring in stock with preset dimensions in order to save on finishing time. By doing this we can offer 1600mm and 1800mm high set sized banners at a much more cost-effective rate than custom sized banners. What Is the Max Size Custom Mesh Banner Offered? Custom height artworks are available in mesh sizes up to 1700mm x 5000mm. However, for orders that have a banner height of 1600mm or 1800mm, we can provide any length up to 50m. What Eyelets Are Used On Mesh Banners? We eyelet mesh banners with an ultra-strong clear eyelet. Unlike traditional metal eyelets, clear eyelets are non-rusting, more durable and warp resistant. 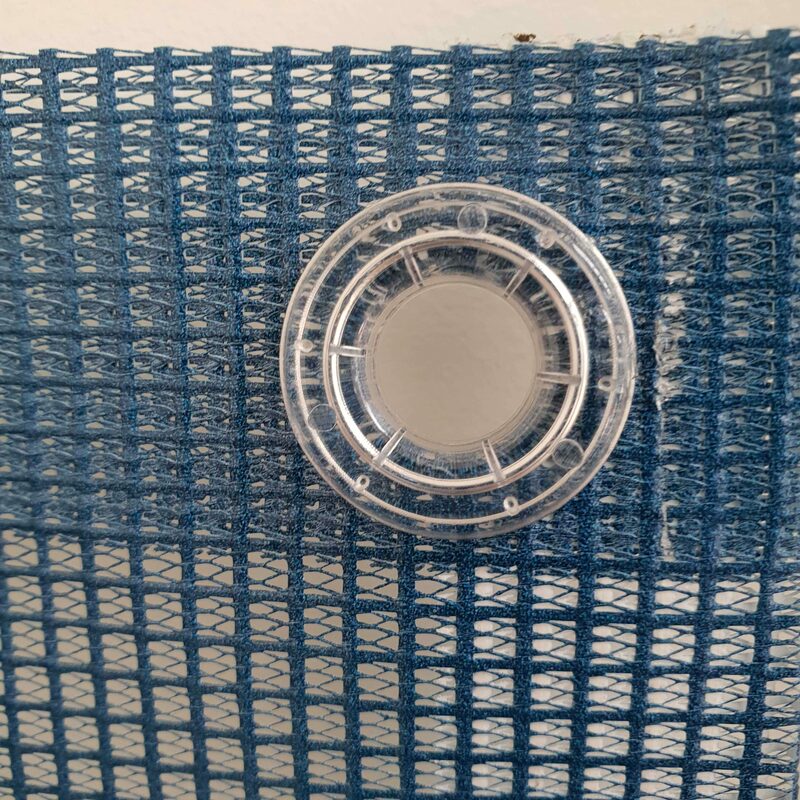 We have found this type of eyelet to be the most suitable for the pull banners get in high wind loads. Can You Colour Match On Mesh? Due to the makeup of mesh, colour matching on this stock is very difficult to achieve. Even though we have calibrated the mesh, its perforations and background can greatly impact the visual perception of a colour. If you have a colour you need matched on mesh it is recommended that you speak to us before putting and order in. How Does PVC Mesh Compare To Other Types Of Mesh? PVC Mesh is the most durable type of mesh product available. We use it in a closer-knit 12x12 premium mesh as well as a more open 6x6 mesh for wind flow. Other companies may offer 'shade cloth'. We have found that shade cloth is not a very durable option and tears in wind loads. So we have decided to price our open 6x6 mesh competitively compared to this type of mesh. Another type of stock that is offered in the market is called 'air mesh' which is a polyester based fabric. It prints really well as it is printed on a dye sublimation printing process and is very light. However, due to the printing process, the ink is only rated outdoors for a short amount of time. So it is commonly used for many short-term events. We have decided to stick with PVC mesh printed with our environmentally friendly inks as we have found it gives the most versatility in offerings. Find out more about the different types of mesh stocks for mesh fence panels & fence banners. What Types Of Inks Does Mediapoint Print Mesh Banners With? 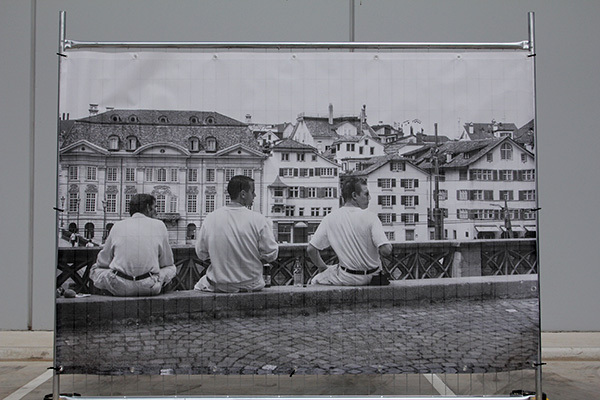 After extensive testing, we found that printing with latex inks was the most suitable for printing on mesh banners. Latex inks are more environmentally friendly than UV and Solvent inks. They also have the added benefit of being child and food friendly. But the most important point was that as the mesh banner stock deteriorates, the latex ink still holds and bites into the material so it does not chip off. In our testing we found that with UV Ink, even though it is more punchy in colour, when the stock deteriorates UV ink is more likely to fail and chip off the banner. Solvent inks also run into the same issue as well as being more harmful to the environment. So we have decided to setup for latex inks even though it is a costlier process so that you can have peace of mind that your customers mesh banners will not fail as the stock deteriorates. Stronger than metal eyelets which will not rust. They also will not discolour or go brittle. See the job finishing options for spacing of eyelets on your mesh banner. Please note our placement is approximate and will vary depending on your banner size.